If your future includes a move to Baldwin Park, check out Meathead Movers! Our professionally trained student-athlete movers, moving concierge, and princess packers are prepared to get you safely moved into your new Baldwin Park home. If you are moving to or from this incredible city, we are the moving company for you! Our professionally trained student-athlete movers and our moving concierge service are here to help you with every stage of your move to Baldwin Park. The city has been steadily revamping its economic base, making it an excellent place to move for work, and giving the city bright prospects for the future. Top employers in the area include Kaiser Permanente insurance and the United Parcel Service. The expansion of the city’s economic base has allowed for the growth of several new businesses, attracting flocks of workers and entrepreneurs alike. You can unwind from the job by taking a bite of a classic In-N-Out hamburger at the location that started it all, or by taking a stroll through downtown for a little relaxation and shopping. 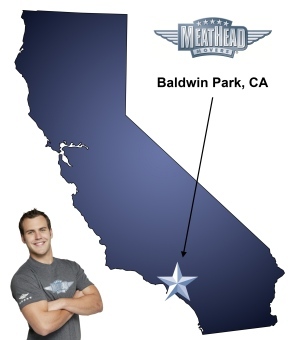 If you are thinking about moving to Baldwin Park, be sure to see how Meathead Movers can help you. We’re not like all the other movers: We’re the white knights of the California moving industry, and we have a level of quality and customer service that other companies just can’t match. One of our most distinguishing features is whom we hire. Instead of hiring dubious temporary help like so many other Baldwin Park movers, Meathead Movers hires young, clean–cut student–athletes who are trying to earn a bit of extra money for school. We run all our applicants through an intense screening and training process to ensure that we’re hiring the best men for the job. In fact, our movers will jog whenever they’re not carrying any of your items to save you time and money. You’ll never be able to accuse our movers of loafing around or of stretching out a job for maximum profit. We offer fixed pricing plans for long-distance moves so that you’ll know exactly what you owe at all times. We are here to help make your move as stress-free as possible. Not only do we offer support seven days a week, but we also feature a signature moving concierge service to help you get everything done on time. If you’ve been having difficulty getting your old or new house move-ready, we have an extensive list of service providers who have all earned the Meathead seal of approval and can help you. As you can see, moving to Baldwin Park doesn’t need to be difficult if you choose Meathead Movers over other movers. Call us today to learn more about our services and how we can help with your next local, long-distance or commercial move. We’ll also give you a no-cost, no-obligation moving quote. With our 100% satisfaction guarantee, the only thing you have to lose is the stress that comes from moving! Moving to Baldwin Park? Here are some helpful resources. View more Baldwin Park resources.